Be sure to scroll to the bottom of this post to see the amazing photos and posts that were created by some incredible bloggers. I have a small wooden oval drop leaf table and I moved it into our dining room in front of the french doors. 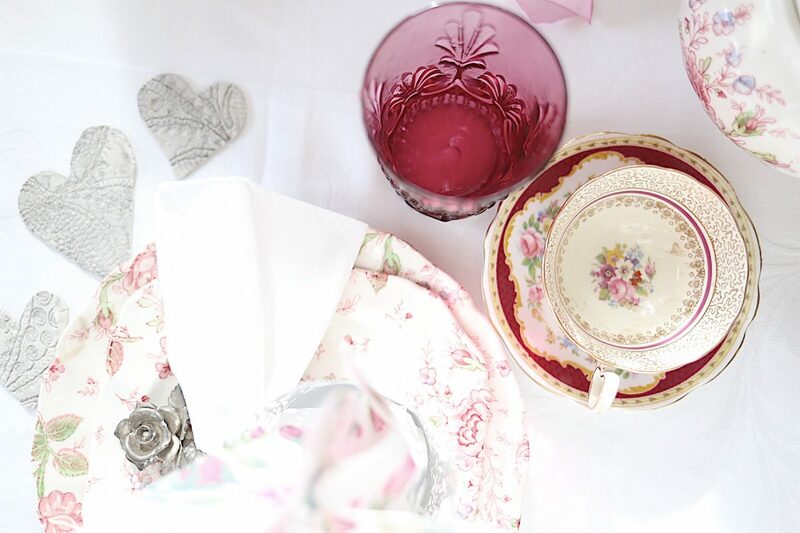 I pulled out some vintage linens, plates, teacups, and cranberry glass. 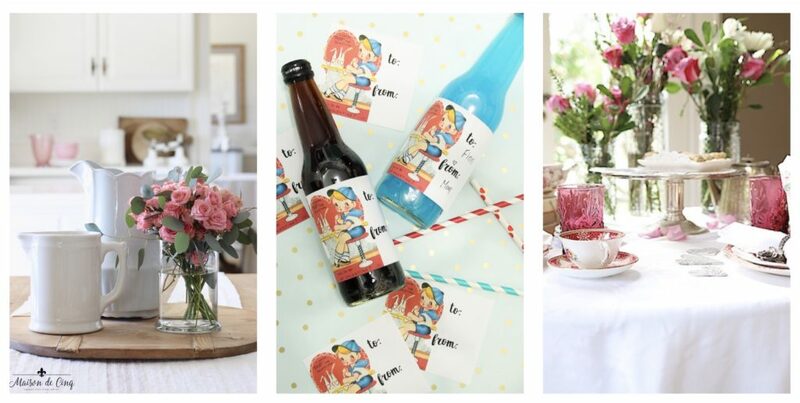 Every item was perfect for a Valentine’s Day themed tablescape. 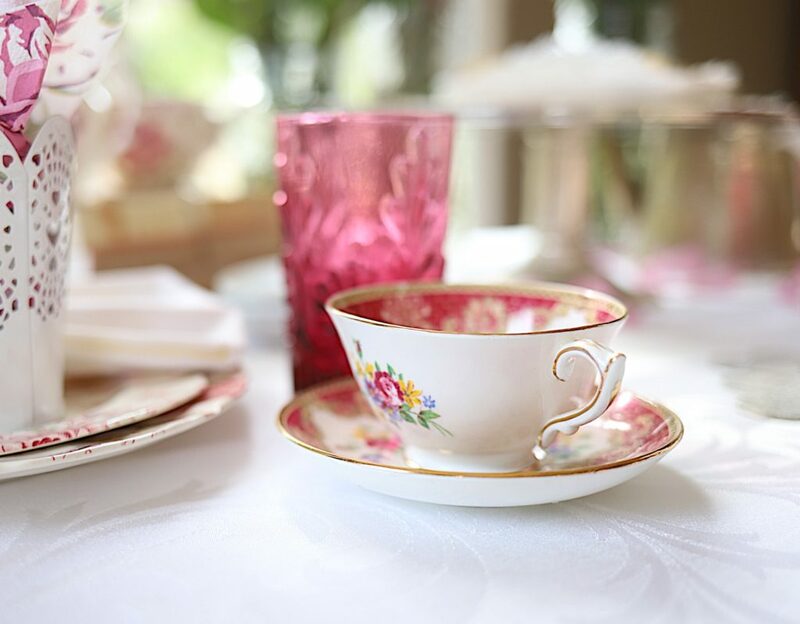 The teacups belonged to my grandmother and mother in law. I have quite a few of them so it wasn’t hard to find pink ones! The plates are Johnson Bros. Rose Chintz. My plates are old but I am pretty sure you can find them new too. The cranberry glass is also from my mother-in-law and flea markets. I rarely use it because I am terrified it might break. But it really is wonderful. 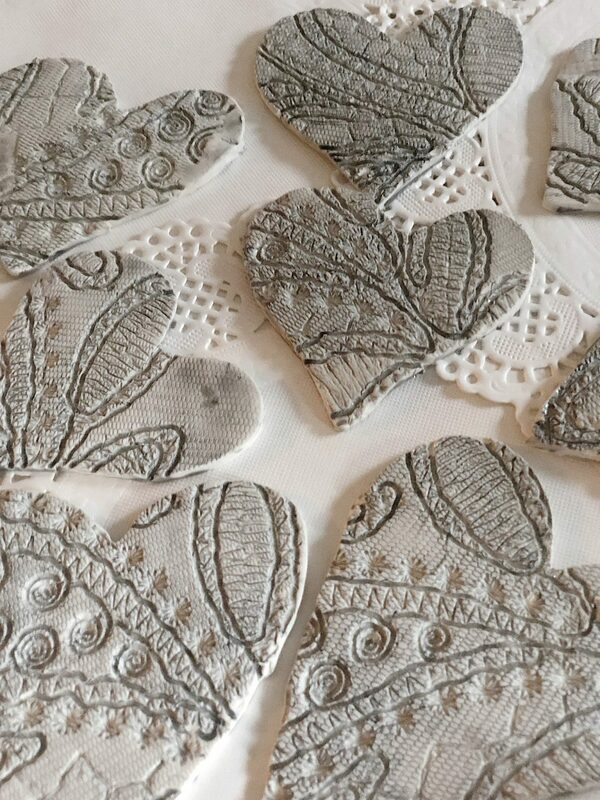 The small silver Victorian style hearts are a DIY that I made using clay, lace and metallic acrylic paint. The only took an hour to make because you can bake the clay in the oven. They “cook” in fifteen minutes. 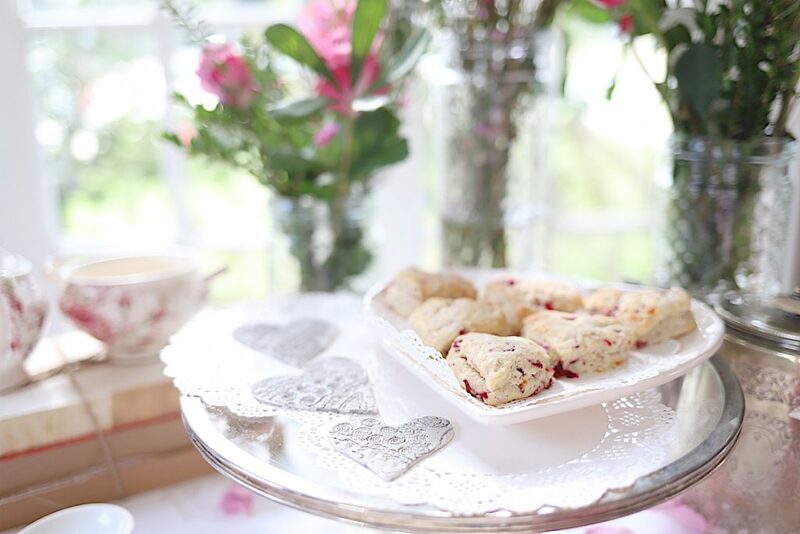 For the menu, I served tea, fruit and homemade Cranberry Orange Scones. I have to admit, these are probably the best scones I have ever made. I put vanilla yogurt in them and they are flakey and soft. (I don’t like hard scones!) 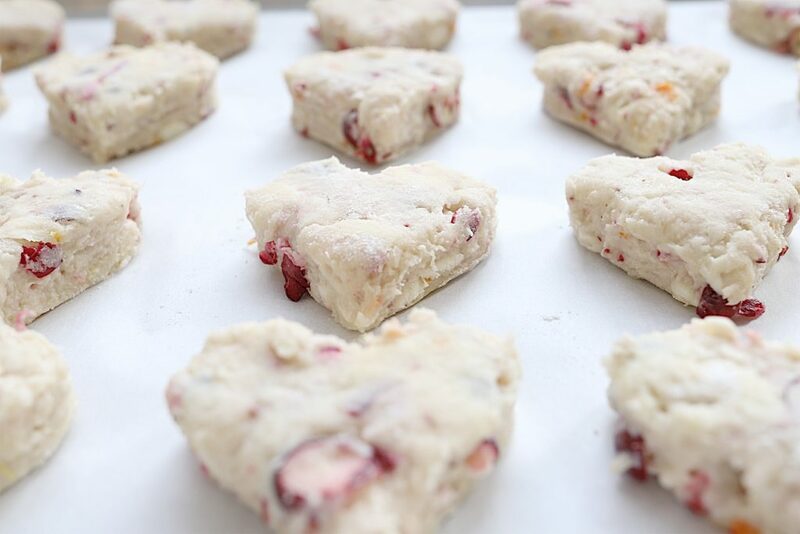 Here is the link to my recipe for Cranberry Orange Scones. The scones really were easy to make. And I ate three of them. They are small, I promise! 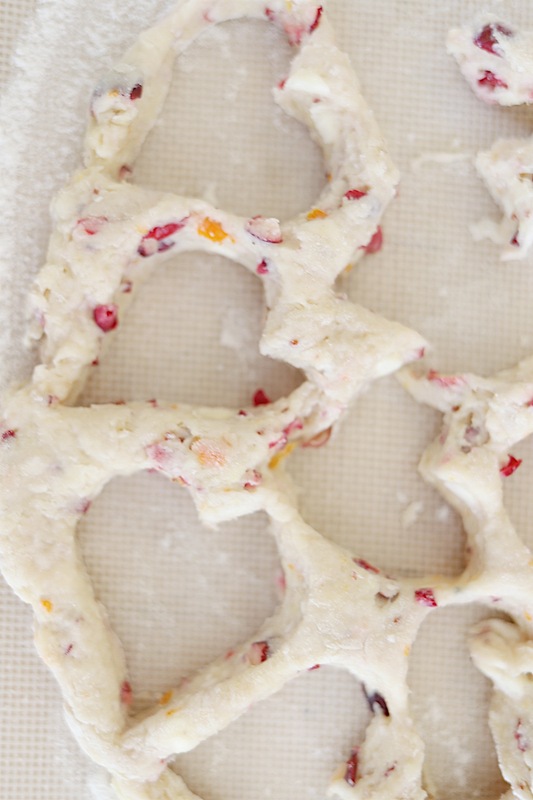 I love cutting scones with the cookie cutter because the dough is almost 1″ thick. 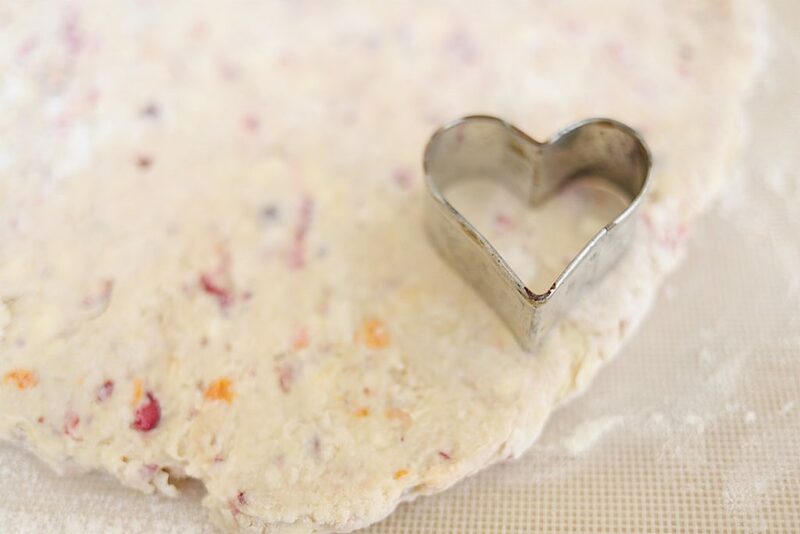 I own a lot of cookie cutters and I have four heart-shaped cutters in all different sizes. You can find more heart-shaped cookie cutters on Amazon. Because the dough is so thick, be sure to reuse the leftover dough after you cut your first batch. The scones cooked perfectly and I love how well they work with my Valentines Day decor vintage theme. 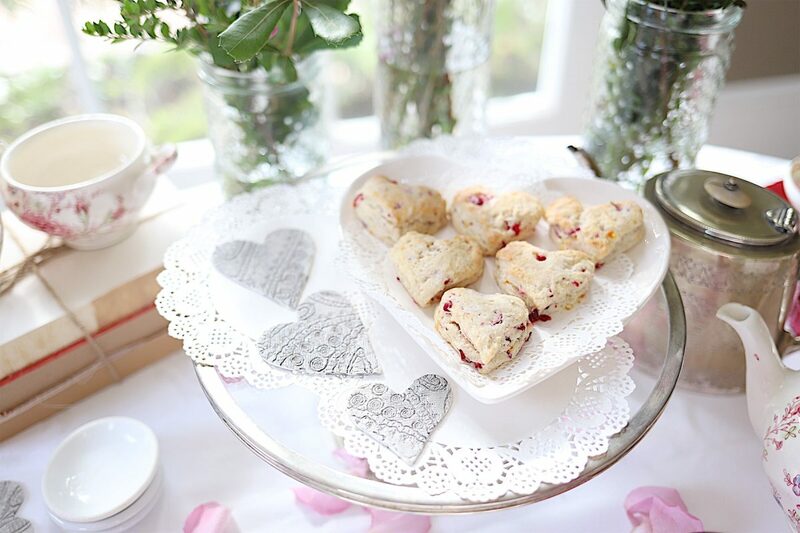 I love how cute the scones look on one of my Rae Dunn Valentine plates. Here is a close up of the vintage style silver clay hearts. I made the design on the top from a piece of lace. 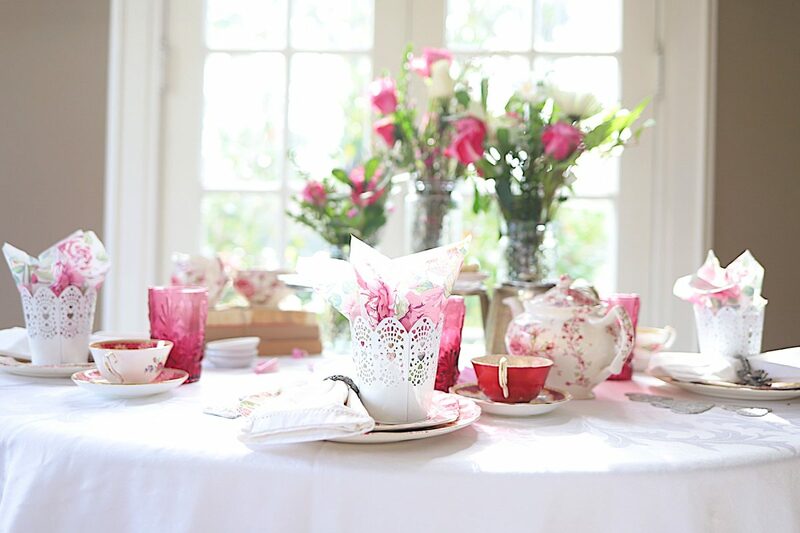 I am so in love with this table setting and I think tea with a few of my girlfriends is a really fun idea! I also put together a few small table favors. You might recognize the pink floral paper napkins. I used them to make my pink floral flower crate. The flowers are from Trader Joes. 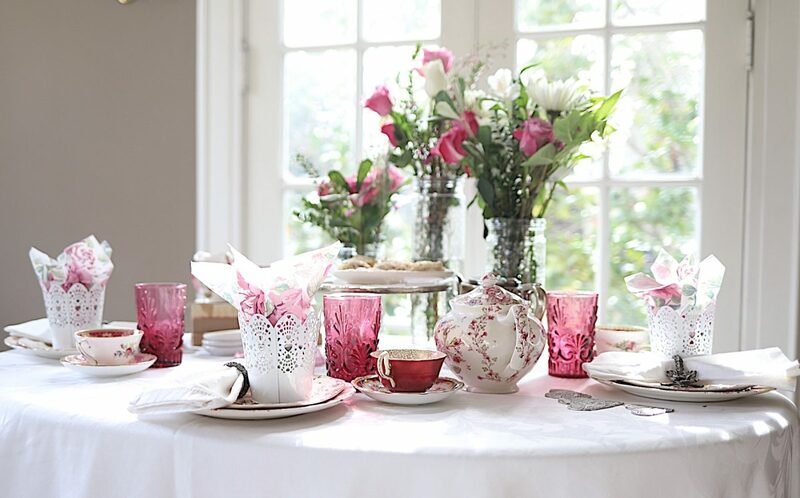 I used my hobnail glass vases and arranged them in three simple arrangements. I bought two bunches of flowers and some assorted greens. Spending the morning enjoying tea with my girlfriends is probably one of my favorite things! 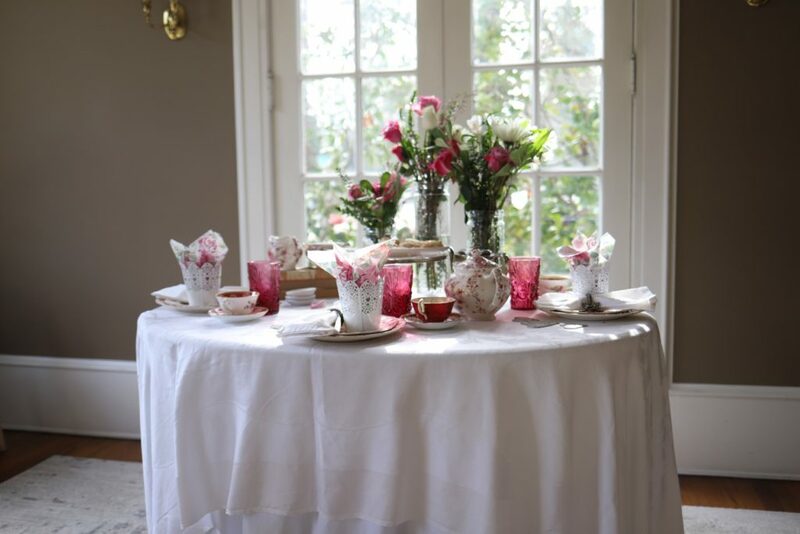 This setting in our dining room, in front of the french door, is just perfect. Wow, beautiful and how talented you are. 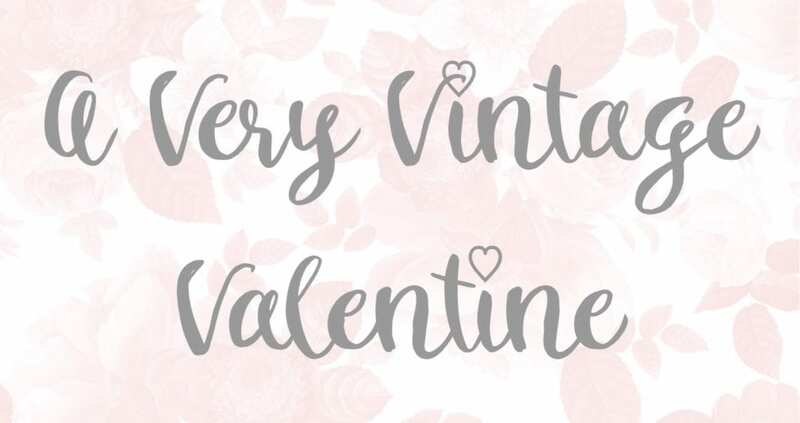 Love they vintage DIY hearts. Just beautiful!! I LOVE all this! 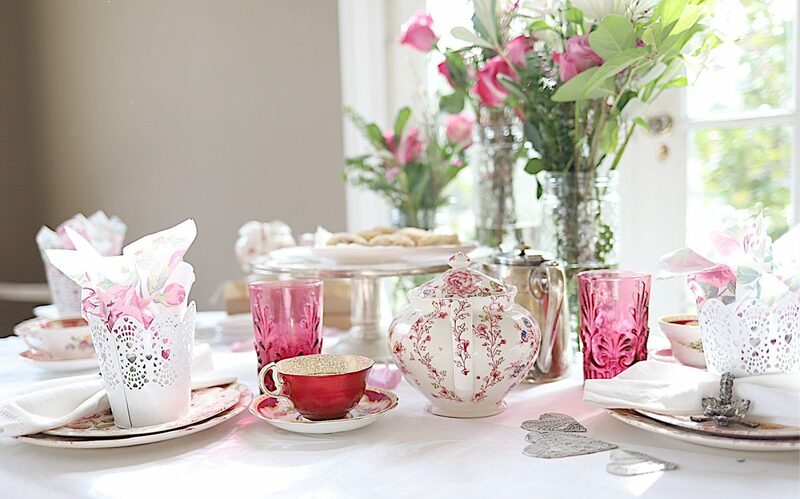 I’m decorating for a widows’ Valentines’ banquet and WISH with all my heart that we had enough vintage plates and glasses like this for ALL 160 ladies. But that’s a dream. 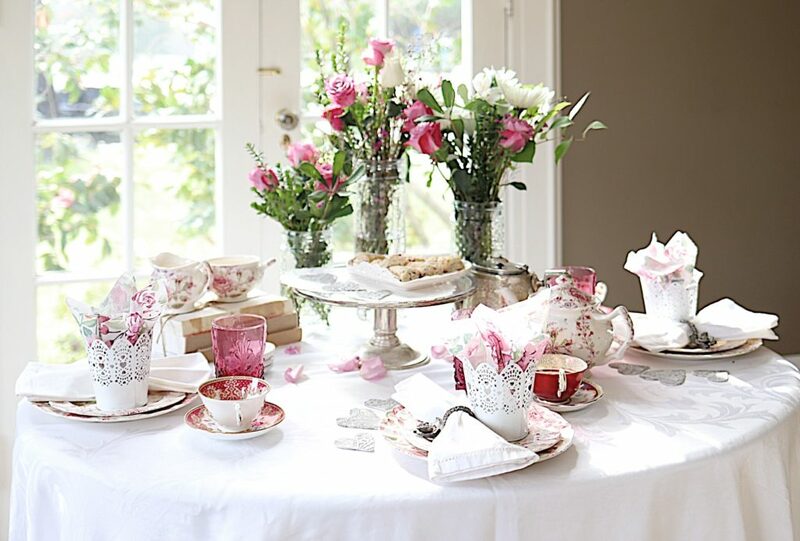 For starters, we don’t have storage room for the dinnerware, A friend of mine started the banquet in her home, but it’s gotten so big we started using paperware as the facility we use doesn’t have a dishwasher. If you have good ideas for decorating vintage with paperware, I’m all ears. Meanwhile, I’ll just need to be creative. Thanks, Leslie for all your wonderful ideas. Leslie, this table is gorgeous and I’m definitely checking back tomorrow for that recipe! 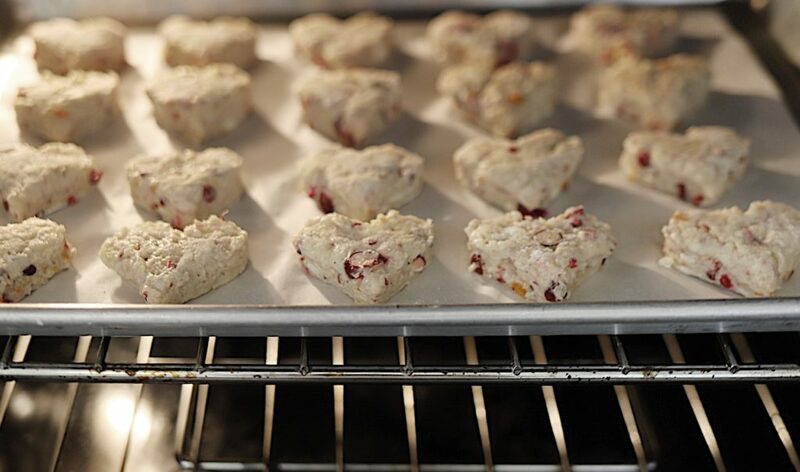 Those scones look amazing and I love how you cut them out into hearts. Leslie, love your vintage china pieces and the scones look delicious!